Discussion in 'Giveaways and Contests' started by khanyash, Oct 3, 2018. The winner will get a Humble Monthly Gift Link to Redeem the Key in Blizzard Battlenet Account. It must be redeemed before Dec 31st. The giveaway will end any day before 10th October 2018. I reserve the right to any action and change in the giveaway. The Key is not available in the Countries listed below. You may not be able to Redeem the Key in Blizzard Battlenet Account. i'll try my luck too, and goodluck to everyone. thanks for doing this! i tried it in an free weekend ! Please count me in! Thank you, @yashkhan! Awesome, my kids will flip, count me in! Love to win a key, thanks @yashkhan! Count me in. 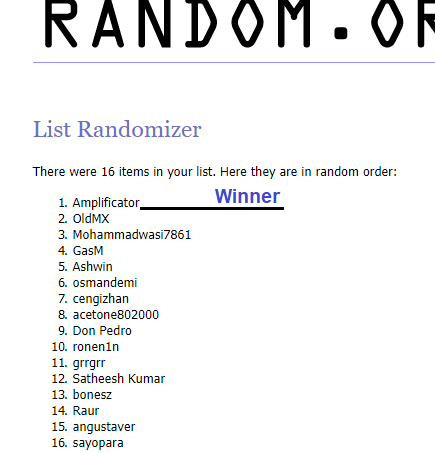 Thanks Yash for this nice giveaway, please count me in. Thanks Yash. Count me in!